Boat Description There`s plenty of room for lots of fun in the sun with the 200 Sundeck`s integral/extended swim platform. 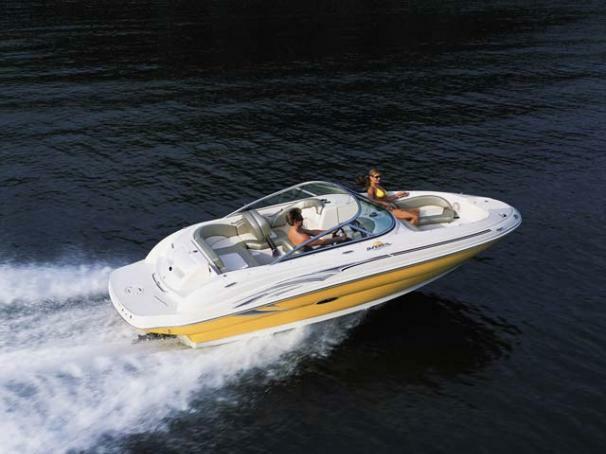 And there`s plenty of power too, with its standard 4.3L MPI 220 hp Alpha I MerCruiser stern drive engine. Just settle in at the helm on these fully padded, bucket seats, or flip up the thigh-rise and you`re ready to go.